Manufactured from a calcium soap base and high quality mineral oils. It contains an additive system to provide extreme pressure properties, improve oxidation resistance and protect against rust and corrosion. This grease has outstanding water resistant qualities and is designed to form a seal at the water interface thus preventing contact with mechanical parts. Recommended for all plain and rolling element bearings operating in very wet conditions. An ideal choice if bearings are temporarily immersed in water or if there is contact with corrosive products. 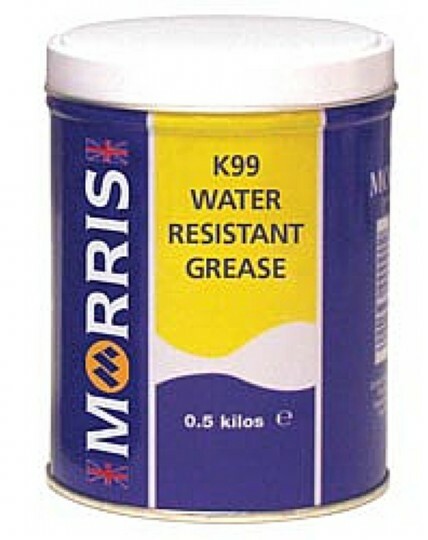 This product may be used in stern tubes where a grease of this consistency and type is recommended.